Here at The Little Cupcake Company we are passionate about creating and delivering fresh cupcakes made with the finest ingredients. 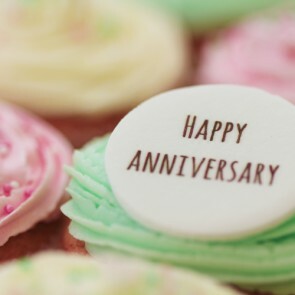 This is why we have a dedicated seasonal and celebration cupcake collection that is ideal whenever you want to celebrate those special times of the year. 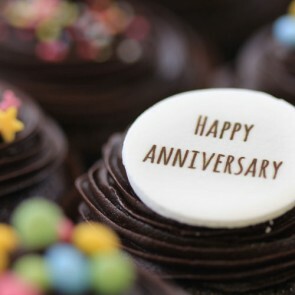 We also have a fabulous variety of message cupcakes with our special plaques for all kinds of important occasions. Cupcakes for every occasion and every celebration - saying it with a gift box of delicious cakes is such a thoughtful way to send a message. 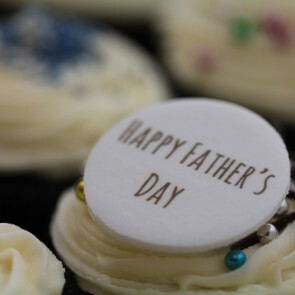 Our Fathers Day cupcakes for 2018 were very popular - dads love these luscious chocolate cakes smothered in buttercream frosting! There's a cupcake for every occasion, and we have them all: Halloween, Valentine's Day, Easter, etc. Don't forget our famous Spring Blossom range, which is now available throughout the year to meet high demand. 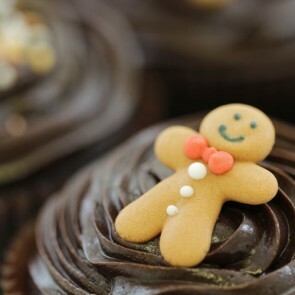 Choose your favourites, add a ribbon, piping and gift box, and order online. Father's Day - A special treat for Father's Day - a deluxe gift box of cupcakes! 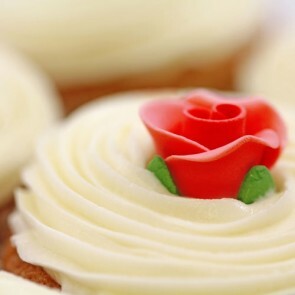 Spring Blossom - Celebrate the rites of spring with pretty pastel cupcakes decorated with delicate sugar flowers. 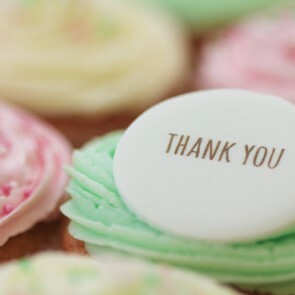 Our Spring Blossom cupcakes were featured in Vogue and due to popular demand are now available year round. Summer Butterflies - Perfect for long summer days, with a glass of pink lemonade or pink champagne; our Summer Butterflies cupcakes are so popular that they are now available year round. 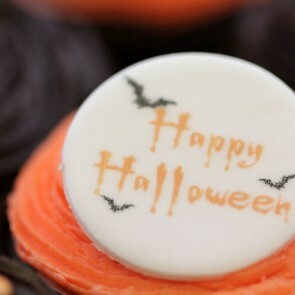 Halloween - Trick or cupcake treat! See our selection of buttercream topped vanilla cakes with spooky Halloween sprinkles. 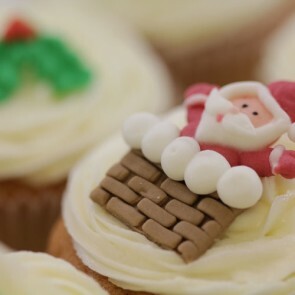 Christmas – Vanilla - Our Christmas Cupcakes in Vanilla are a lovely treat for friends and family or even for Santa! 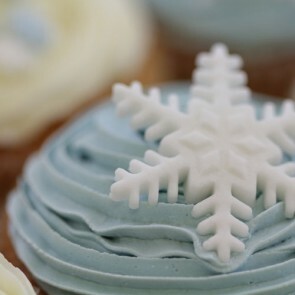 Buy our delicious vanilla cupcakes decorated with festive sprinkles. 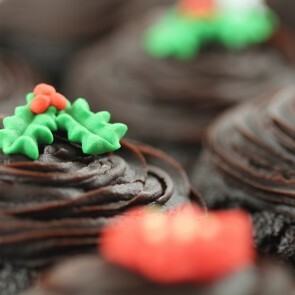 Christmas – Chocolate - Our Christmas Cupcakes in Chocolate are simply decadent, made with the finest dark chocolate - perfect with mulled wine and mince pies! 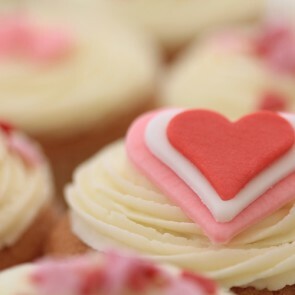 Valentine's Day - Our gift boxes of Valentine's Day cupcakes are just right for two sweethearts to share. See our cakes for Valentine’s Day 2018. 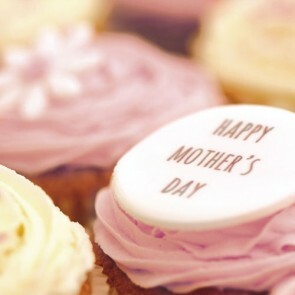 Mother's Day - Our Mother's Day Cupcakes make the perfect gift for Mother's Day, presented in a luxury gift box. Mothers everywhere will love our delicious vanilla cupcakes. 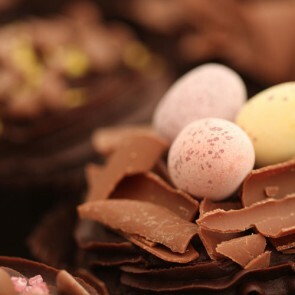 Easter - Our cute Easter cupcakes are extremely popular - see the 2018 range!